The Lazy Mirror is a mirror that stands out through its simplicity and functionality. 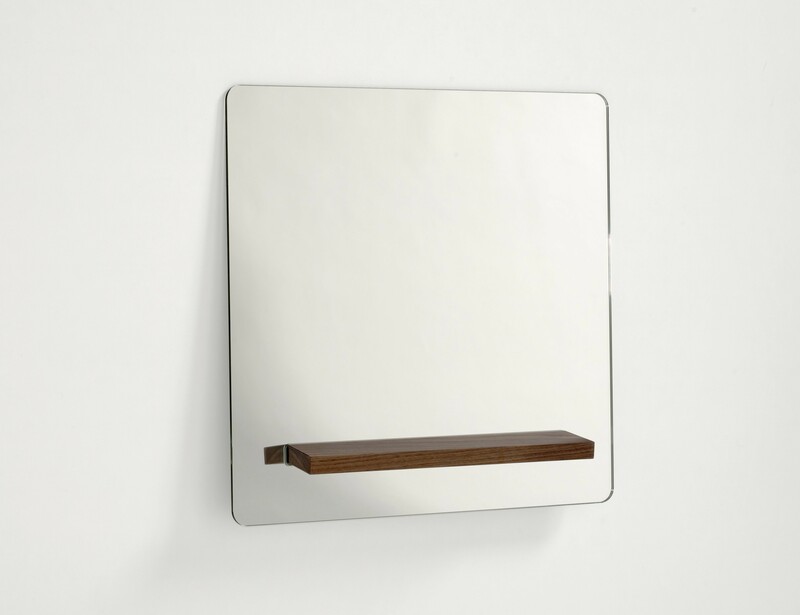 The mirror is extremely minimalist with a sleek square design and in two natural materials; wood and glass. With its sloping angle and sleek design, this Lazy Mirror goes exceptionally well in the bathroom, toilet, or bedroom. This mirror has a wooden rack with a small shelf and a mirror containing a groove. The mirror and rack fit together perfectly. 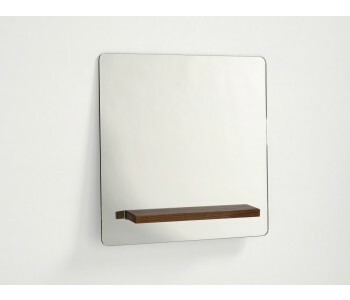 The small shelf fits precisely into the groove, enabling the mirror to lean against the wall. In this way, the mirror can stand in a slightly angled corner, and the shelf creates a horizontal surface for your toiletries or make-up, such as a comb, brush, lipstick, or contact lenses. The Lazy Mirror from Frederike Top is 60 centimeters wide, 60 centimeters high and 12 centimeters deep. It is made from mirror glass and American walnut.